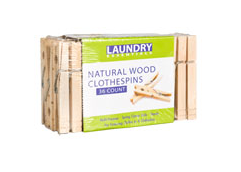 When making your shopping list for the new year, one thing that should be on your list is clothes pins. This invention, is small but mighty. It’s a great organizational tool! Colorful clothes pins are a challenge to find, but well worth the effort. I bought mine years ago at Wal-Mart. I use mine for “sorting” my students into groups. For lunch, my students were grouped into: 1st choice, 2nd choice, milk only, and lunchbox. 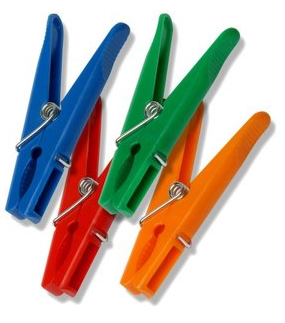 Each day, I would clip the blue on the students’ lunch tickets that were milk only, green pins on the students’ lunch tickets that chose 1st choice, orange pins on the students’ lunch tickets that chose 2nd choice, and students without a lunch ticket (the lunchbox students) clipped a red clip on their shirt. We lined up in this order everyday. I had squares taped to the floor with these colors so students would know where to line up. I had a helper that would clip the clothes pins to the lunch tickets. Lunch tickets were then arranged on a table in color groups. It made lining up for lunch much smoother. The cafeteria helpers really liked the system because they could see at a glance how many 1st choice and 2nd choice trays they needed to make. You can also use these pins when you sort students into other groups such as center groups or literature circles. Warm ups: Before a writing lessons, give each student a clothes pin and put on music. Instead of clapping to the music, students open and close the clothes pin. This will warm up their muscles. Each time I call on a student, I clip the pin to the rim of the bucket. The buckets are great, because you can carry them from place to place, such as the computer lab or to your carpet area or reading table. This system is great for Smart Board lessons. Not every student gets to help with my Smart Board lessons. There was some confusion the next day, when I asked who got to help the day before. Of course, very few student remembered helping, but wanted to help that day. I found this is the cure for “selective memory”. « Are you earning all you should be? I paint wooden clothespins bright colors, leaving one side unpainted. Using hot glue, I stick them to the painted cinderblocks of my room. I can then hang maps, posters, student work. (Not much else sticks to cinderblock. These stay up all year, and I can carefully pop them off without damaging the lovely painted cinderblocks). I use clothespins on my behavior management board and to display things on our classroom cabinets. I saw where you posted this to your pinterest board, but I don't see the free Smartboard lesson that you mentioned.